A one of a kind sword! This massive item 45 1/4" long and is equipped with a 36 3/8" mirror polished stainless steel blade. The cast metal guard and pommel are constructed with solid brass plating and reveal very intricate detailing. The historical engravings and Masonic symbols certainly add elegance and collectible statues to this distinguished piece. 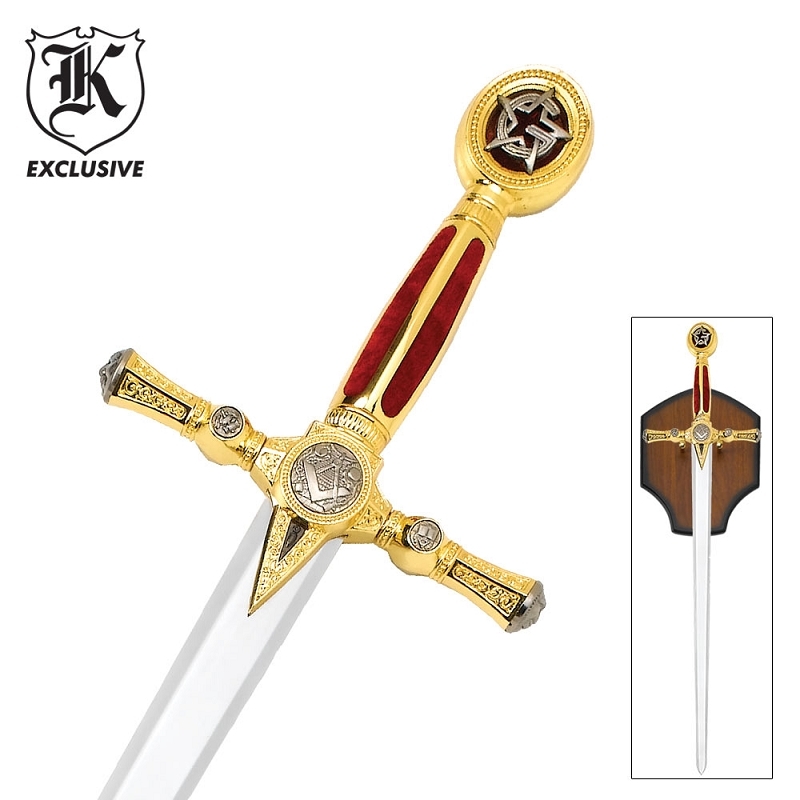 This sword includes a hardwood display plaque for ready display.